Which character did you have in mind? Well anyone really it could be let's say a villain from Codename Sailor V, it could be a villain from one of the Chibiusa's Picture Diaries or the Exam Battles it is all up to you. Actually I do have someone in mind if you are up for it. This would probably be very challenging so I will of course understand if you do not want to do it but do you think you could do a pic of Sailor Chaos from how she is depicted in the manga with say Chaos Galaxia from the 90s anime's color scheme. 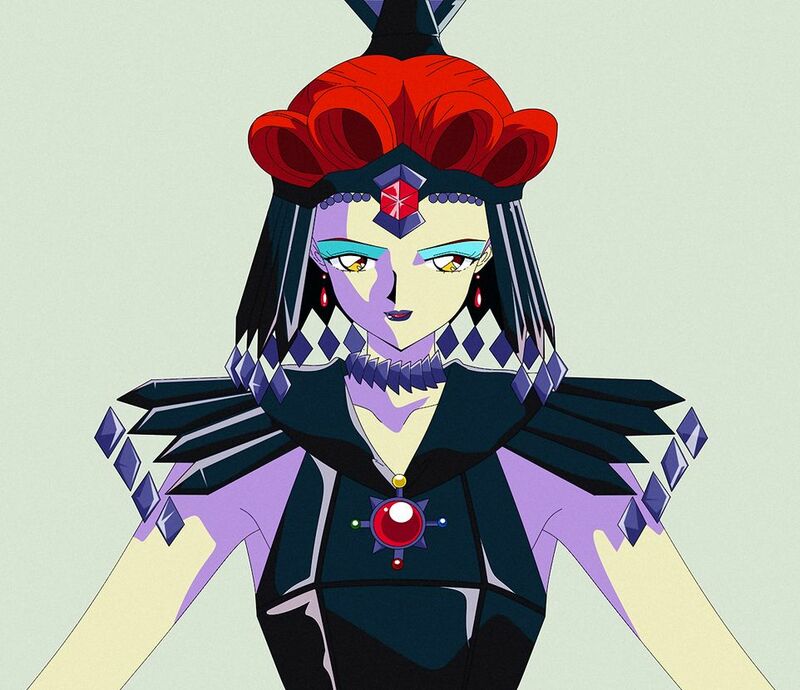 I always thought that the black fuku with the pale skin, yellow eyes and red hair would look awesome for Sailor Chaos's true form as it just screams villain. I always loved Sailor Chaos's outfit in the manga I really love that she has snakes on her. However if not Sailor Chaos then maybe one of my favorite Chibiusa's picture diaries is the Exam Battle one so it would be cool to see some of those characters in color like Shokujo (both in her true form and as the fake Sailor Moon), Kengyuu, Zeta and Epsilon etc. I really hope that Crystal actually adapts the special acts as well. I am loving that human Beryl, DREW. That's fine DREWdesu BTW Sailor Neptune looks really pretty in your pic. Of course Michiru is one of the prettiest of the Senshi. Here is a preview of my drawing of Sailor Chaos as I could see from the manga. ^ Looks menacing &, hence, a nice depiction of her. Wow Sailor Chaos really looks nice so far and I love the details DREWdesu. I can't wait for when she is colored I am sure she will be awesome! I like your drawings, expecially when you colored it, the one with Neptune really show your improvement and your attention on details. True, i wait too for the colored version! Wow your Sailor Cosmos pic looks very nice too DREWdesu. It looks very close to her manga art. Plus I am partial to Sailor Cosmos as she has my favorite Senshi design. Nice Cosmos art, i like it! Thanks. 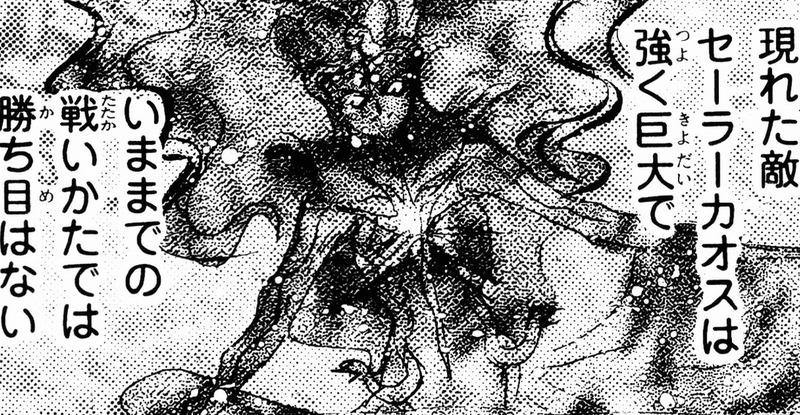 I was simply checking the manga art of Sailor Cosmos to look for details. However, once I looked at the details again, i could see what you mean with the pose looking similar to the manga art I didn't realise she was holding her cape. I had Satomi Okubo's interpretation of Cosmos in my mind when I drew this especially when she is seen holding her cape with her left hand. Wow, this looks awesome, Drew!! I'd love to see how Super Sailor V would look too. Maybe "Princess Sailor V" too. Why stop there? Why mot Neo-Queen Sailor V too?. Oh my. I've fallen in love with her. :love: :love: That looks fantastic Drew!